Sign Elements might be a name you haven’t heard of before in microstock. But chances are you probably know of iSignStock. A relative newcomer to the microstock industry, Sign Elements is the new branding of iSignStock. Is this just another microstock agency with no real point of difference? Not quite. Sign Elements new name really reflects what market they are targeting – sign writers and graphic designers. Especially those who create work for vehicle wraps, as Sign Elements includes vehicle templates as part of their offerings. This is a novel approach and one that seems to be working for them, as they are earning contributors reliable income each month. Sign Elements is part of the Ingram Publishing group, which host a few other stock sites as well. So when you get accepted at Sign Elements your portfolio gets spread across a number of stock sites, all earning additional income for you. Unless you have something against partner programs, this can only be a good thing for revenue. Sign Elements Review – Why Sign Up? 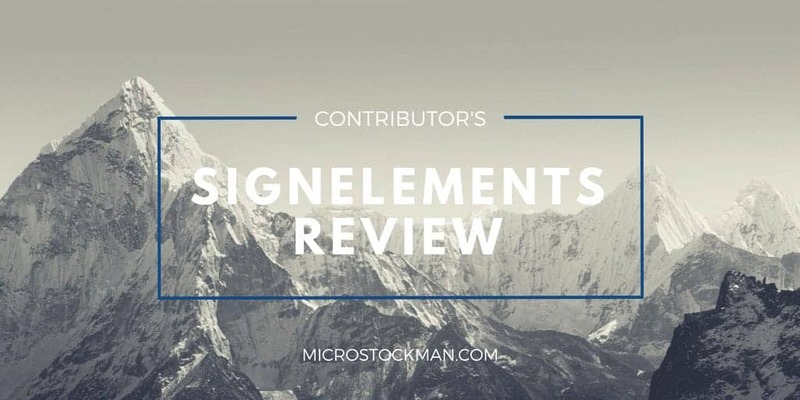 Sign Elements Review – Downsides? The first thing you will notice when visiting Sign Elements is the website itself. This can feel pretty clunky and outdated. The contributor section in particular is in desperate need of some attention. At the moment, you will only find out your earnings at the end of each month, and you won’t know which files were downloaded or how many times. This has been the biggest gripe for most contributors and will no doubt continue to be until addressed. The file requirements are currently 4mp plus, so that opens the door to most contributors, regardless of their gear. Plus, with high acceptance rates Sign Elements seems like a good place to start for those just getting grounded in microstock as well as the seasoned professionals. If you’re after an agency with few hassles and a consistent (albeit low) income, then give Sign Elements a go.